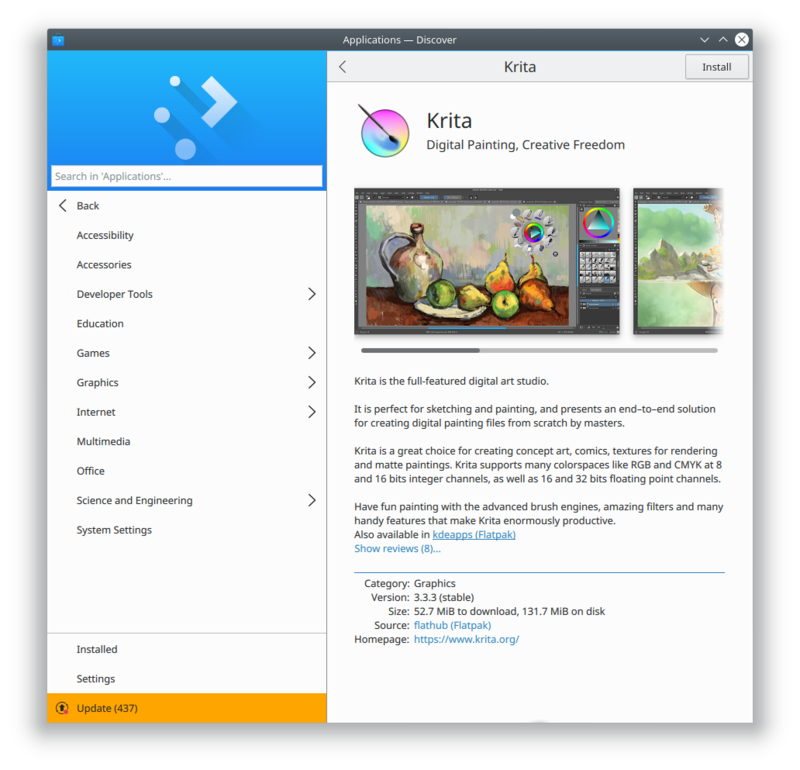 Your work (Discover, and KDE Plasma in general), is amazing!. It’s my desktop since 2009, with KDE 3.5.Many thanks!! Let me ask a question, though. The left sidebar is mostly white space, only the Plasma logo, a search field and some text. Does it need to be so wide? IMHO, it can be reduced whitout losing functionality and leaving more space for information (not just in the app view, but in general? I’ve done some investigation but come up blank so far. We’re hoping to do a deeper investigation and fix it in time for Plasma 5.13. I can’t believe how far Discover has come in such a short time. Simply amazing. Showing donation info is a definite plus and hopefully the relevant metadata continues to improve to help out both Users AND Devs! Thanks, I’m pretty happy with it, too, and there’s lots more in the pipeline!